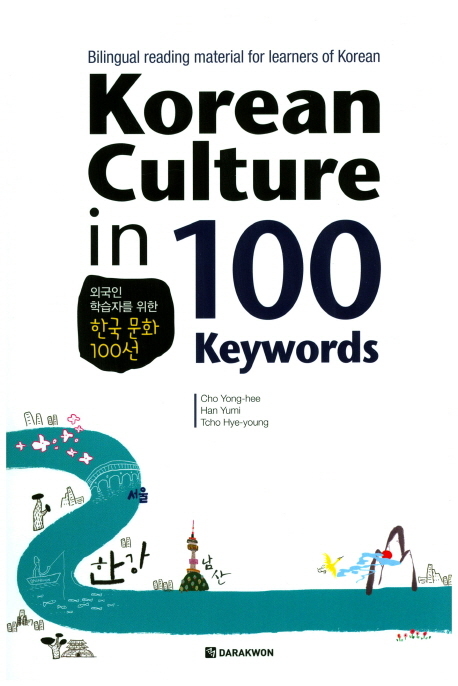 The 100 keywords for this book have been selected through several rounds of surveys with the students at the Korean Cultural Center in Paris, France. The 100 facts address extensive sectors. 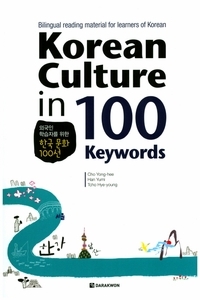 The facts have been selected because they not only help French and global learners have an overall understanding of the state of Korea, but also represent the background knowledge necessary to study essential words and grammar in learning Korean from various aspects including culture, history, tradition and society. Each subject consists of two pages. On the upper left side is a photo that can explain the subject at a glance. Under the photo is a Korean text that introduces contents that must be learned regarding the subject. In order to help the learning, two questions are added to check the learner�s understanding of the text. The answers are provided in the appendices at the end of this book. On the upper right side is the English translation of the Korean text. The translation will serve for learners to measure their level of Korean proficiency in terms of understanding; in addition, it will satisfy the need for Korean learners who have long wanted to have a bilingual textbook. On the bottom is the English translation of each Words and Expressions section to help readers understand the Korean text. Small photos that are relevant to each subject are added to provide greater enjoyment.